Creators Syndicate is adding the Herald’s Adriana Cohen to its all-star lineup boasting 44 million daily readers. She will continue to write her popular exclusive columns for the Herald as well. “We’re very proud of Adriana’s work and so pleased she is getting this well-deserved national recognition,” said Herald Editor in Chief Joe Sciacca. 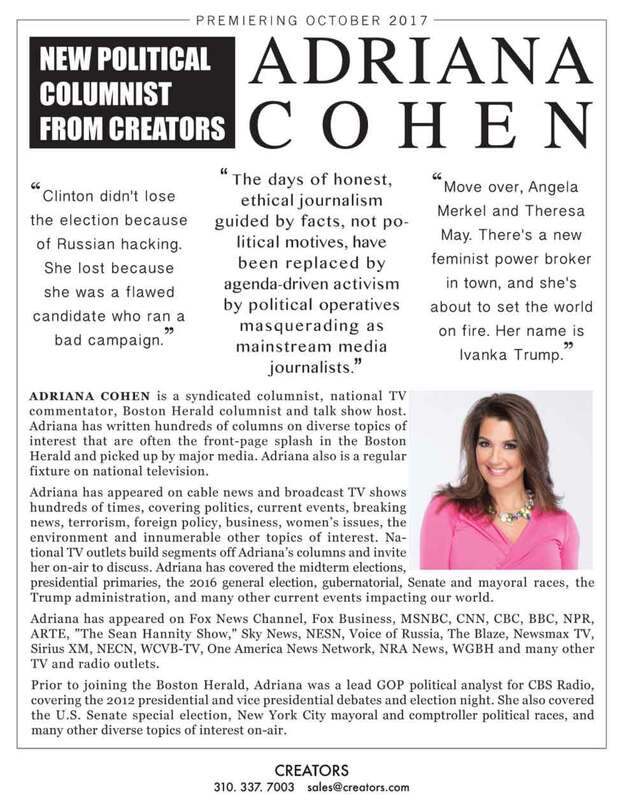 In addition to her column, Cohen is host of Boston Herald Radio’s “The Adriana Cohen Show” streamed live Wednesdays at noon. Cohen is a regular guest on Fox News and mentors Harvard University female undergraduate business students.